Getting your team to track time is not easy. Telling them they need to track time is easy, but actually getting them to do it (and do it consistently) is a major challenge. To motivate your employees to track time, you need to address their concerns, make the process super simple, and encourage them to form the habit. Number one concern is that tracking what you’re working on is a huge drain on their productivity. And they’re right. Tracking anything at all saps time and energy. For example, if you want to know how your business is doing, you have to track revenue and costs, and this requires effort. Sure, you can boost your productivity by not tracking how much money you make, but nobody complains about it because it’s definitely worth the effort. So is tracking what you’re working on. It takes time, there’s no way around it. But, if the value of having data outweighs lost productivity, then it’s ok. It’s a fair trade-off: you’re sacrificing a bit of productivity today in order to gain business insight that will help your business in the long run. When it comes to time tracking, what people say doesn’t matter as much as what they feel. If you can address your team’s emotional concerns, you’ll remove the greatest challenge to time tracking adoption. At the heart of the problem is fear: how will management use the data? If someone told you that you need to account for every minute of time spent at work, you’d be anxious too. You’d worry how will someone interpret your breaks, judge you for spending 2h each day on emails and chat, and wonder how come some project took you 3 days. Another problem are unrealistic expectations. A typical office worker is productive for only 3 hours in an 8-hour workday. The rest of the time is spent on breaks, talking with colleagues, reading news, messaging, snacks, etc. Once you ask employees to account for every minute and the management can see how much they’ve worked, people will start becoming more self-conscious about their activities – and ultimately stressed out and miserable because of increased expectations. The truth is, no one be productive for 100% of the time. Even the most productive managers or programmers can squeeze out only 12h of honest productive work per week, at best. The trouble is, people assume management doesn’t care about this. All they care about are numbers and if they see they can squeeze more work hours, they’d start enforcing stricter rules, fire low performers, and make workplace more stressful – at least, that’s what the people fear time tracking will bring. People also fear that time tracking can set unrealistic pace and kill creativity and camaraderie. If you have to track every minute of your time, you’ll think twice before you check social media, help your colleague, take a break, or do any other little thing that energizes you and brings joy and relief. Why? If management can see the numbers, everything will start to revolve around who logged more work time, without taking into account what was actually accomplished and how. Getting people to feel comfortable about time tracking is the biggest challenge. When we feel fear, it’s easier to clamp up and reject time tracking (or even sabotage it) than it is to go ahead with it. That’s why trust is the most important things when it comes to motivating people to track time. If people don’t trust you, you won’t get accurate business data. And if you want to trust, you have to give it. First of all, start by appealing to people’s rational side. You have to give a reason why they need to track time and why it’s important. In some industries, time tracking literally puts food on the table (eg. employees are paid by the hour, or the company charges clients by the hour). If you have a legal, contractual requirement to log hours (eg. you’ve got funding from government), all you need to do is explain the legal ramifications. If you have fixed price projects, tell people that you need to know project profitability so the company can be more successful, plus explain how will that personally affect employees (eg. the company will be able to pay higher salaries to employees or hire better teammates). People need to understand that you don’t want to monitor who does what personally. You’ll have to communicate to your team that time tracking is not about spying on people, controlling who spends too much time on breaks, or setting unrealistic goals. It’s simply about tracking where the time goes and spending less of it on non-profitable projects. The last thing you want is to make people feel bad. In order to establish trust, give trust. Let people decide if they want to track time using a timer or enter time manually at the end of the day. By letting people self-report the hours worked, you put them in control. By giving people control, you remove the anxiety and distrust. This is why Clockify doesn’t have employee monitoring features. Sure, checking your employees’ screenshots or how often they move mouse might be useful, but it goes against a healthy work environment. The easier it is to track time, the more likely people will do it. To make it more convenient, let people track time from wherever, be it from their phone, desktop computer, browser, or within other apps. If someone forgot to start a timer, let them log the time after the fact. 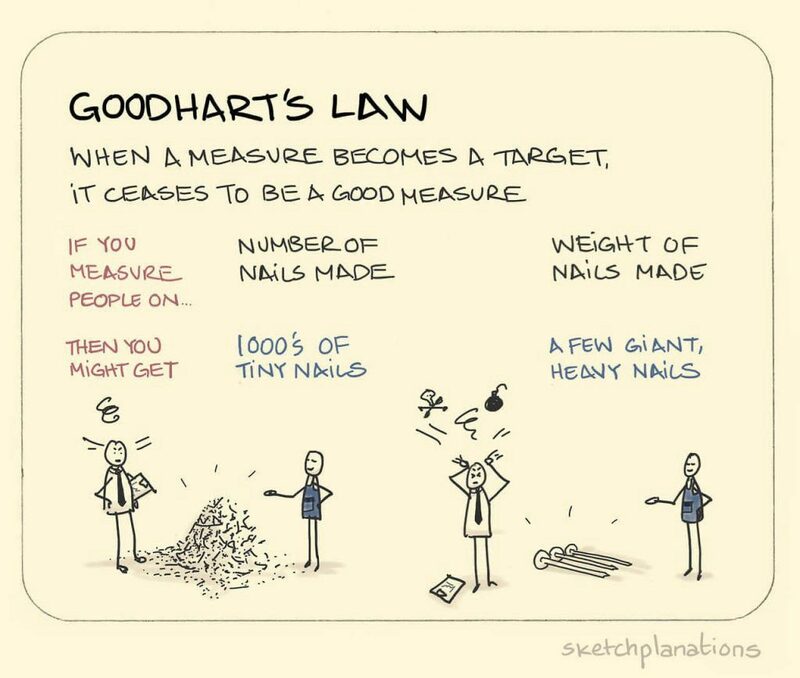 Also, keep the data requirement at minimum. In most cases, you don’t an essay on everything someone worked during one hour minutes, or a super detailed log with 100 different activities each day. The less information you require, the less energy time tracking will expand. Or if someone forgot to log the time for the previous day, set an automatic reminder so they get a friendly notification the next day, reminding them to log their missing hours. Tracking time in Clockify is extremely simple – it’s just one text field and a button. But no matter how simple it is, people still need some guidance. Using a new tool is stressful, especially if you’re not that tech-savvy. Even if you are, it’s easier if someone shows you how to do something. Helping people with the basic set-up isn’t really about teaching them how to use a tool (there are tutorials for that). Instead, it’s about providing comfort and reassurance, personalizing the experience, showing them what they need vs what they don’t need, be there for casual questions, and meeting them halfway. After everyone is set up, remember to check with them on how the process is going along. Often, people will have comments on how to make the process smoother, which will further help with the adoption. The easier it is for your team to track time, the more likely it is that they’ll stick with the habit. This is also a great opportunity to build trust and show your team that you value their feedback and that your real focus is improving the process for everyone (and not just for management). Unless people are working on confidential projects, sharing time tracking data and letting people know who works on what is a great way to build trust and motivate people to track time. If you have a TV or some sort of electronic display in your office, you can connect it to Clockify’s Team Dashboard so people can see in real-time who worked on what. When tracking time, people will be confused on how their time logs should look like. Should they be super detailed? Is it enough to just categorize it by project? Or how to categorize a particular activity X? In order for reports to be useful, people have to track time under the correct project. So, come up with a simple scheme so people don’t have to spend a lot of time on thinking what belong where. There’s no greater headache than deciding whether to categorize answering an email as “Communication” or “Project X”. Also, come up with a list of commonly tracked activities (“answer emails”, “meeting with X”, “record podcast“, etc.) so people can start a timer for that activity with one click. If you ever decide to rename the activities later, you can easily do it in bulk. Once you have a system, document and share it with others. Outline who has to track time and how, what projects and tags to use and when, and what are the policies regarding late submissions or improperly labeled data. Having one place where people can check if they’re doing it right and having one source of truth is great for productivity and removing confusion. Also, it’s a great resource for new employees during their onboarding. 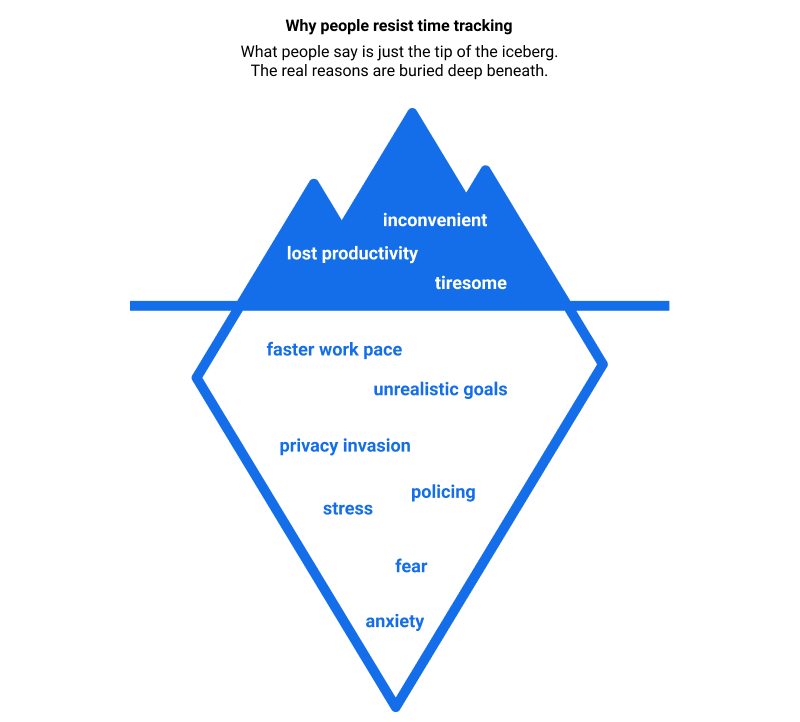 You shouldn’t use the number of tracked hours as a way to punish or reward people. If you do, people will start gaming the system, track hours even when they’re not working, and the whole productivity will go down – not to mention data accuracy. You also shouldn’t value work by how many hours were tracked, but instead how much work was done. After all, someone who stays overtime isn’t a better employee if they accomplish the same thing as someone who works 8h/day (or less). This is also extremely important for trust. If you start using the numbers to criticize people, they’ll start seeing time tracking as a weapon and silently revolt. The best way to use the time tracking data when talking to people is to use the numbers as a conversation starter rather than a quota. A quota is a punishment if you don’t reach a goal. Conversation starter, on the other hand, is an invitation to talk and better understand the needs of your team. You can have benchmarks for the number of hours per day you expect from your team for different activities. These benchmarks give everyone a clear idea of what is expected of them. However, there are many reasons an individual might fall short of a given benchmark (e.g. getting wrapped up in solving a particularly complex issue), so you should always use time tracking data as a discussion-starter instead of a quota. By discussing stats with teammates, you can understand when and where the team is being overworked and needs backup. In the end, time tracking isn’t everyone’s cup of tea – especially if it’s a regime imposed top-down with no good reason. But, by having an open, transparent, and fair process, you’ll gain trust and goodwill that are crucial to adoption. For more tips, check out the detailed list of 29 time tracking best practices.